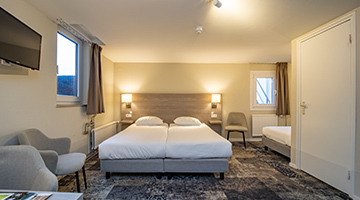 In Valkenburg, surrounded by the beautiful hills of Limburg and only a few kilometres away from the famous Three Borders, lies Hotel-Restaurant Valkenburg. The hotel is distinctive because it is completely made up of red bricks from Old Limburg and old marlstones. Recently the hotel has been completely renovated without losing its characteristic features. Fletcher Hotel-Restaurant Valkenburg is located in the middle of a beautiful landscape of rolling hills. 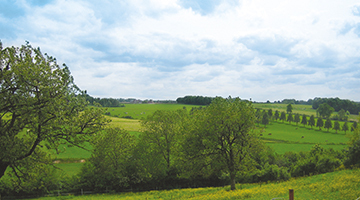 South Limburg is famous for its height differences, creeks and stunning nature. Discover the amazing landscapes of Limburg by bike which you can rent in our hotel. After a beautiful day outside you can enjoy international oriented dishes in our à la carte restaurant. 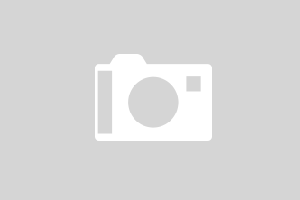 Fletcher Hotel-Restaurant Valkenburg is also the perfect location for corporate purposes. Its surroundings offer enough possibilities for team spirit activities. For instance you can go on adventure with a guide and visit the famous caves of Valkenburg or cycle a heavy ‘track’ over the Cauberg with your team. Valkenburg is the perfect weekend getaway. For a real adventurist even the most famous ‘Pieterpad’ is a challenging hiking trail. Our hotel in Valkenburg, with stunning surroundings, is the ideal starting point for extraordinary cycling and hiking tours. Families can enjoy themselves as well in Limburg. Visit for instance the ‘mergelgrotten’ which are endless corridors made from limestone. Go exploring by car and leave the little country of the Netherlands for a day in Belgium or Germany. 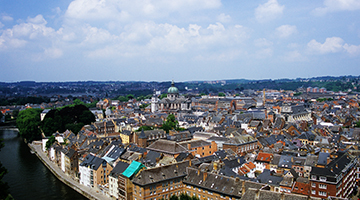 Discover the Belgian Ardennes or visit Liege and Aachen. Hotel-Restaurant Valkenburg is located on the outskirts of the Ravensbosch forest and within walking distance of the centre of Valkenburg. Explore South Limburg and discover the many hills and beautiful landscapes. Several tourist walking routes start from the hotel.